What can be said about Gillian Flynn that hasn’t been said a million times before? She’s a brilliant writer, a (indirect) feminist, and quite possibly someone you’d never want to meet in person. Why? Many of her main characters’ loved ones meet untimely deaths. So the moral of this story is, don’t be related to Gillian Flynn or be a college sweetheart of hers because; poor Desi never saw it coming. In all seriousness, Flynn has been having quite the past couple of years with Gone Girl’s ubiquity followed by Dark Places and Sharp Objects film adaptations. Her books seem to be on everyone’s book lists and although I have an aversion to following the crowd, I fell in line. So when I saw this book flash across my computer screen, the ensuing moments were spent in what felt like super slo-mo. Within the next couple of hours - no exaggeration, I think I started and finished the book in less than an hour - the book was purchased and read. All that followed is a bit hard to articulate, but I’ll do my best. I started the book with elation and by the time I finished I went through the 7 Stages of Grief. Shock, denial, anger, etc, etc. And after hours of “the stages”, I settled on acceptance, because I highly doubt Gillian would consider a rewrite for me. The book was all that we’d expect from her. Suspenseful and hard to pinpoint an exact frame of thought on the goings-on. 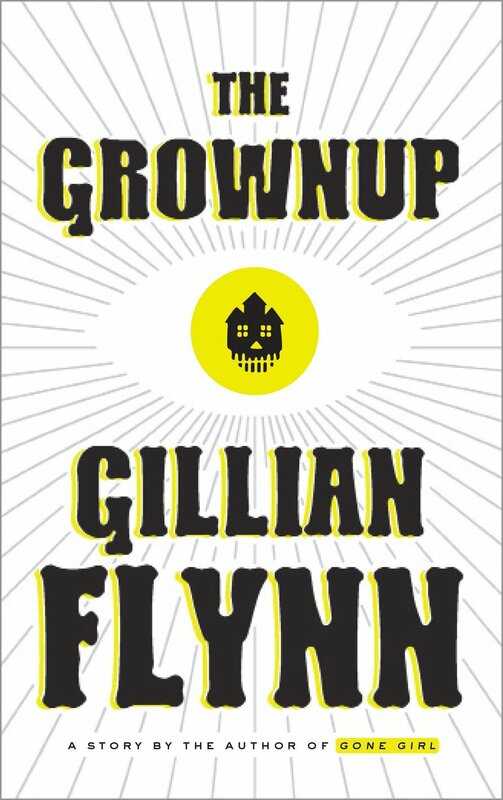 The Grownup is about a young woman whose career professions range anywhere from an “aura reader” to a giver of handjobs. And by range, I mean, that’s all she does. She gives handjobs and false psychic readings. As the book progresses she encounters a woman who seems like the perfect target, but one question lingers, who’s scamming who? I won’t give any spoilers, but the book does make you think a great deal more than needed. Seriously, don’t let your mind wander, it’ll just go nowhere. Having only 64 pages, obvious shortcuts were made. Details could have been broadened and the book lengthened, but still a decent read. By the end … “THE END” … we are left to fill in the blanks. That’s right, a cliffhanger. This is why we can’t have nice things. On a scale of 1-10, I’d rate this book a proceed with caution. So, have any of you read it? What do you think of that part when _______ said, “If _____ is the ______ and she wants us _____, we’re _____?” Just kidding. I burned the booked and danced around in the ashes. Do you like cliffhangers? I, on the other hand, find them anxiety inducing.